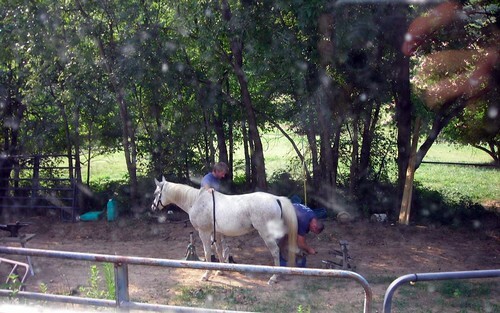 This morning my farrier, Tony, came out and reshod Tanna. 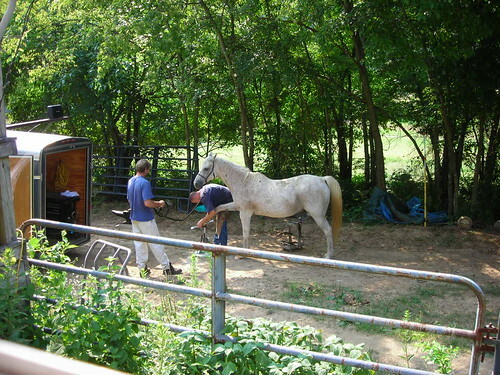 I also had him put front shoes on Serts as he seemed to be a little footsore barefoot. I'm hoping Serts'll be happier and a bit more energetic now.